Culture Counts was the Scottish Partner for Heart For The Arts 2019. The winners have been announced for the National Campaign for the Arts' (NCA) Hearts For The Arts Awards 2019. The awards celebrate the unsung heroes of Local Authorities who are championing the arts, often within a climate of severe financial challenges. “So many great community arts projects are only made possible by imaginative, determined Local Authority staff, who understand the power of the arts and culture to bring us together. 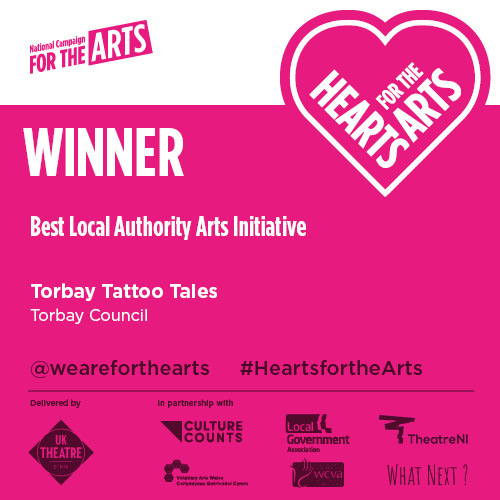 Hearts For The Arts believes that recognising these hardworking local heroes is vital.